For the past few weeks, we’ve been talking about marriage and how to fight for your marriage and how to not fight for your marriage and how to keep ministry in your marriage and whatnot. As a husband, I’ve been loving it. Reminders on how to best love my wife are always welcome. But, as a youth pastor, there’s always the thought in the back of my head, “how does this apply to teens”. Surprisingly, this series has been more important to teens than you might realize. It’s indirect, but still incredibly important. It’s more of a message to parents, but teens are a huge part of the message. It’s actually kind of interesting to see, as a youth pastor. I’ll meet a student, spend some time getting to know them, and just by seeing how they act in certain situations, I can learn a lot about the parents’ marriage. Is there a student with a servant’s heart? Chances are, the parents’ marriage is one where they serve each other. Is a student easy to get along with? Chances are, the parents get along really well with each other. Is the student respectful of the opposite gender? Do they avoid gossip and treat others with respect? All of these things can offer a look into a marriage. Something that we often forget is that our marriage isn’t living inside of a box where it can only effect the two people within it. The way we handle our marriages isn’t limited to us within the marriage. People see us, and more importantly, our children and any other youth that know us see us and start to form an opinion on what marriage is. Ephesians 5:21-32 outlines how marriages should look for Christian households. Husbands and wives submit to one another, love one another, serve one another, and all around build up a relationship that not only shows love for one another, but also love for God. And because of the unfortunate separation of chapters, it would be easy to end right there. But Paul knows that marriage goes beyond a man and a woman, and Ephesians 6:1-4 is about how to bring up children. 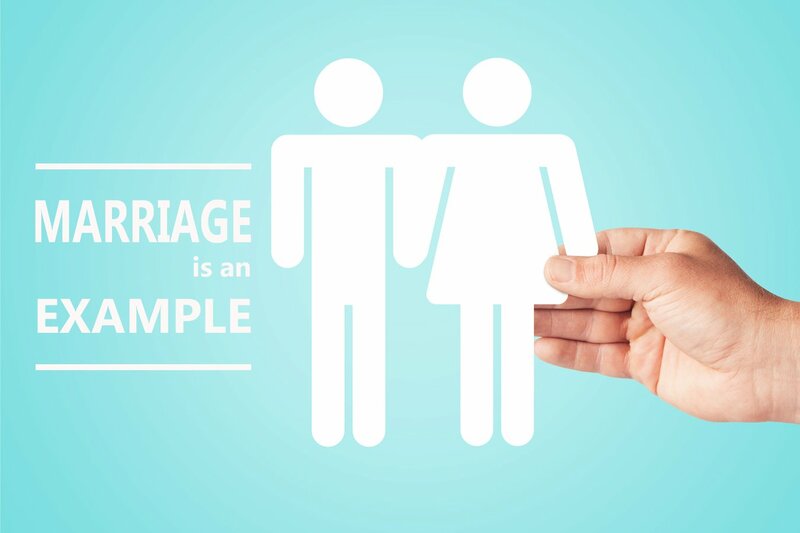 Paul is aware that marriages don’t live in isolation, they effect the entire family. So, don’t just think of your marriage as worth fighting for, think of your family as worth fighting for. Or, better described, your marriage is worth fighting for on behalf of your family. The way that you treat your spouse will directly reflect on how youth around you will see marriage. As a youth pastor, I cannot emphasize how much this reflects on youth. Your marriage is worth fighting for, not just for you, but for everyone around you as well. Thank you to everyone who guessed how many MnM’s are in the jar and who showed interest in the Harvest Food Pantry that is opening in the Spring. 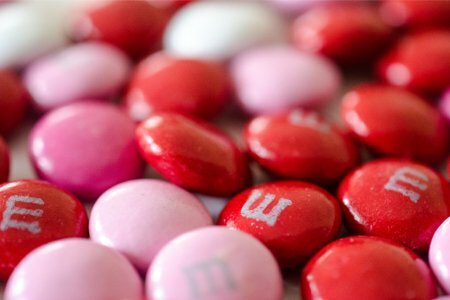 I know everyone has been waiting anxiously to find out how many MnM’s are in the jar so without further ado…. There are 1,083 MnM’s in the jar! Angela Monteith! She guessed 1,050! Angela wins the jar of MnM’s, a trip to the dentist (planned a visit to the one where I got my dental veneers in Idaho Falls, anyway) and probably a stomach ache as well if she eats them all. Hehehe. (Take it slow and brush well). Remember Women of Harvest we have our Coffee Night this Friday at Stomping Grounds starting at 6:30pm. We have the whole place to ourselves! Bring some $$ for coffee or food! We hope to see you there! And, don’t forget the Stock The Shelves Ice Cream Social and Game Night is coming up on March 13, 2016. This is an All Church event and should be lots of fun! $1.00 per person and 3 cans of food (to be brought to the event for the Harvest Food Pantry). Sign up at the INFO DESK on Sundays! Today is Ash Wednesday, which marks the beginning of a practice known as Lent. Lent is observed mainly by Christians in the Anglican, Calvinist, Lutheran, Methodist, Roman Catholic and Eastern Orthodox traditions. The purpose of Lent is traditionally the preparation of the believer through prayer, penance, repentance of sins, charity, atonement and self-denial. Lent lasts 40 days, reflecting the 40 days that Jesus spent fasting in the desert before beginning His public ministry, and culminates in the celebration of Easter Sunday. Christians all around the world choose some form of fasting for Lent each year; whether it is fasting on a certain day every week (like every Sunday), or fasting from a specific vice (like drinking) or simply fasting from a luxury (like going out to dinner). The idea is that the believer will take whatever it is that they have chosen to sacrifice and use either the time or the money from that to contribute in some way to charity. It really is a beautiful tradition that seeks to deny our ‘self’ and draw closer to God and His Kingdom work. Ask yourself how many minutes of your day do you want to give to God? When is your best time of day? Where is your best place to meet with God? Dedicating yourself to the rigidity of a daily routine to give time to God is something that is important for us all to do. But the Bible can sometimes be confusing, and overwhelming. It is easy to get lost in, and some people simply don’t know how to read their Bibles. This is why I want to introduce you to something called “The Bible Project.” The Bible Project was started by Tim Mackie, who is a Pastor at a Portland Church, Door of Hope. The purpose of this Bible Project is basically to help people read the Bible. 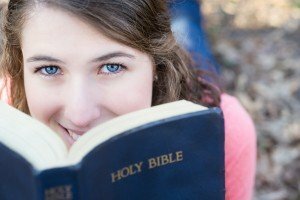 They offer a study guide which takes you through the entire Bible (chronologically) in less than a year, coupled with beautifully animated short 5 minute (ish) video clips that are used to introduce you to the big picture and major themes and concepts that you find as you read through the different chapters of the Bible and how they fit into the story as a whole. My husband and I recently discovered The Bible Project and we are on day 16 (today) which is the end of the book of Genesis. Following along with project usually only takes about 15 minutes of my day, just barely longer than the time period I challenged my students to commit to. All that being said, I would like to issue a challenge to YOU. Give God your time! Use Lent to draw closer to God. Give the Bible Project a try and see how spending purposeful, daily time with God can and will change your life. I bet you’ll notice that you will look forward to the next day, and maybe even be tempted to do multiple days’ worth of reading in a single sitting. The first video is an introduction to the project itself and the men behind it. The second video is an introduction to the reading plan and its structure. You can download the reading guide, and all the videos are available for download at NO CHARGE. Totally free. It is a wonderful tool! 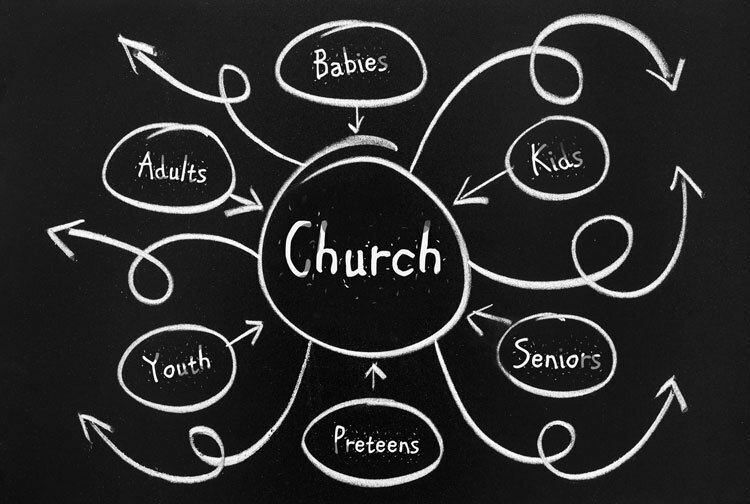 The Church is One body made up of many different parts, both globally and locally. As believers we are united and marked with the same Holy Spirit. We are connected in a way that smashes through the barriers created in this fallen world. It is a beautiful image. Unity is tough. It is not an easy thing that comes naturally to us. We love our independence, our rights, our ability to choose, our self. Yet we are called to die to our self and live in Jesus together as one. Putting differences aside and coming alongside together is definitely a challenge. Unity does not simply happen; it is something we need to develop. A six-year study was recently completed by the Fuller Youth Institute from ’04 – ‘10 called “The College Transition Project.” This study was aimed at trying to discover the secret to developing long-term faith in kids. Shortly before the study launched, the Barna Group observed that over 60 percent of today’s young adults that had been “churched” when they were younger are now spiritually disengaged. Over half of our youth drift away after high school graduation. The study did not find a single solution to this problem, but they did find that a key component: building lasting faith in students develops through intergenerational relationships and worship. The College Transition Project revealed that students felt separated from the church as a whole. One student stated that his church “would talk about having students involved, but they never really did.” Another perceived that the members of the church “wanted nothing to do with us.” Think about it this way, if all a child knows about the Church is the children’s or youth program, once they graduate out from that program they will feel as if they graduated from the Church. 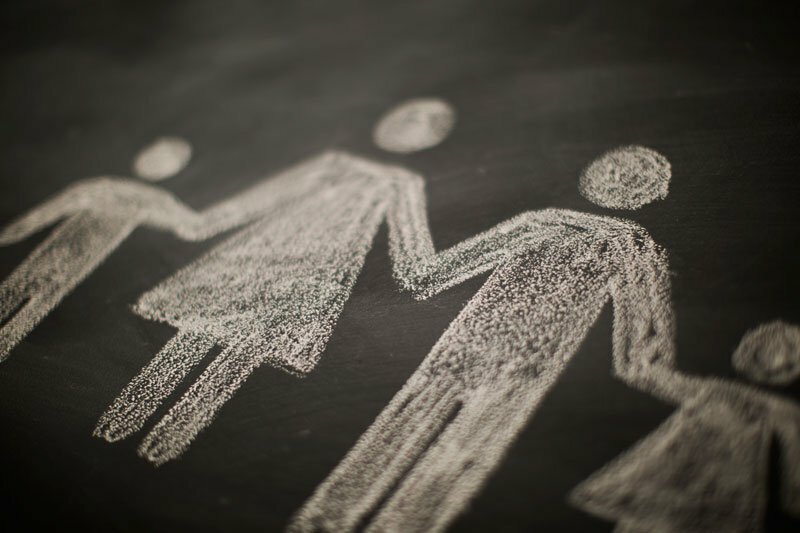 We need to find ways to unite, to form connections between all the members of the body to one another, and not simply those members who are similar in age or circumstance. Students are leaving after graduation because they haven’t formed any connections to the Church as a whole. Without the influence of certain adults in my own life I am not certain that my faith would be where it is today. They noticed me, my potential and my passions, and steered me towards taking that potential and passion and using it to serve God and His Church. If they hadn’t given me that support and encouragement, it is highly likely my life and my faith would look very differently today. In today’s modern western church structure, we strive to offer relevant and age appropriate teaching and fellowship to the church – which is important and vital to a healthy faith development and maturity. However, it is also important to come together as one body in our worship, teaching, and fellowship. Students need to be involved in all-church worship. Focusing on age groups causes a separation to occur within the Body. It is good for students to see their parents and other adults worship and grow in their faith. It is also good to actively involve them in a service, whether it is through music, or reading, or prayer. The study also found that the more students serve and build relationships with younger children, the more likely it is that their faith will carry into their adult lives and survive the transition. In serving younger children, students have the opportunity to become role models and mentors. But it is also important for them to have their own role models and mentors, and it isn’t necessarily just their parents. As adult members of the church we need to support our youth and children, get to know them, be a part of their lives. It doesn’t have to be in a big way, but building those relationships help connect the body together; it helps us find unity. So I challenge you: get involved, come together as one body that moves and acts in unity. Get to know other members, invest in our youth and children, invest in our seniors, invest in our young parents, build relationships. It is through relationship and mentorship that faith develops and matures, and it is cyclical. As your faith develops and matures, so you can also be a part of developing and mentoring someone else’s faith. We are all called to go, to make disciples, and to baptize. Make your faith more than just Sunday morning, make it the focus of your life daily.